Editor’s note: The thing I love about Rado is that even when they deliver a seemingly demure, classic round watch, they add a twist. In this case made from the futuristic hybrid alloy Ceramos. It’s definitely a watch to check out in the metal – ummm, Ceramos – to really appreciate. When it comes to materials, it’s hard to beat Rado. The brand is a master of innovative materials. They pioneered ultra-hard metals and ceramics, and continue to push the realms of the possible. The latest is Ceramos, an alloy of ceramic and metal that offers the best of both worlds — the lightness and scratch-resistance of ceramic, paired with the finish and lustre of metal. Here they’ve chosen to deploy Ceramos on the relatively conservative DiaMaster Thinline, a classic two-hander with a date. 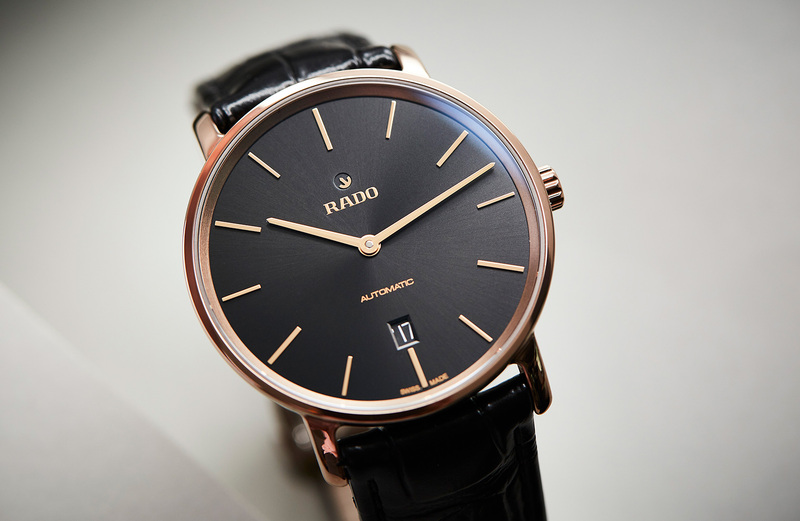 So, if you like your tradition with a healthy dose of technical, check out the Rado DiaMaster Thinline Ceramos.